Develope your own Network such as Twitter or Facebook. Be active in whatever networks you are involved in. Get a mentor, as you will learn from their experience. These are just a few ideas to start building your network. For more ideas, and a indepth discussion of social networking, join us for our “Mastering Social Networking” workshop with David Saffir on March 10th for part 1 and March 17th for part 2. Cost is $109 for both sessions. Tip of the Week:Did you know…..
You hear a lot about the power of Adobe Camera RAW (ACR), but did you know you don’t have to shoot RAW to you use it? You can also open JPEG and TIFF files. Simply open Adobe Bridge, select the image you want to open in Adobe Camera RAW, then select “Open in Camera RAW…” from the file menu. (You can also press Ctrl-R in Windows or Cmd-R on a Mac.) You get all the non-destructive editing power of ACR, on your non-RAW images! For more Photoshop ideas, sign up for our Photoshop 101 workshop series with David Green starting on Wednesday, February 13, 2010. 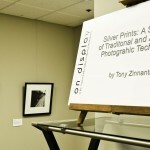 For the month of November, the Santa Clarita Center for Photography will be featuring “Silver Prints: A Survey of Traditional and Antique Photography” by local photographer and instructor, Tony Zinnanti. The installation features prints created from a variety of photographic techniques, including dry plate formulas from the 1800s and negatives produced with Zinnanti’s one hundred year old 8×10 camera. While the Santa Clarita Valley Center for Photography largely centers around ever advancing digital technology, the center touts its expertise with traditional and fine art processes. Zinnanti’s personal darkroom is a satellite element of the photo center. 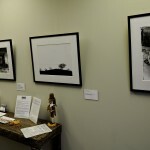 The installation, which consists of twelve hand printed black and white photos, features scenes of Santa Clarita, including haunting images of Mentryville cast from glass plate negatives. The Santa Clarita Center for Photography is open for viewing during regular business hours, on weekends and by appointment.